Two high-profile digital advertising trends -- native and programmatic -- are increasingly overlapping thanks to a series of strategic alliances between ad tech firms. The latest partnership brings together PubMatic, which provides programmatic ad technology, and Bidtellect, specializing in native ad delivery, in order to make inventory from PubMatic publishers available on Bidtellect’s native demand-side platform (DSP). The collaboration will allow media buyers access to both open market and private marketplace inventory from PubMatic via the Bidtellect DSP, including standard and customized native formats. They will also gain access to audience targeting tools, analytics, and real-time reporting on campaign delivery. PubMatic already offers a range of ad inventory and formats across mobile, video, display, and tablet devices. 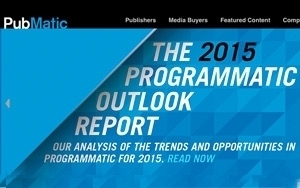 As noted, a number of companies have been taking steps to combine native advertising and programmatic buying. Earlier this month, for example, Opera Mediaworks, a mobile ad platform, unveiled a native ad exchange for mobile, with demand partners including Appsfire, AppList, adMarketplace, Bidtellect, Facebook, HeyZap, TapSense, NativeAd.com and Opera Response, and publishing partners including Demand Media, WildTangent, Gogii Games and Pinsight Media. Back in December, native ad tech company TripleLift announced that it was integrating its platforms with programmatic ad platforms MediaMath, Turn, Triggit, AppNexus and The Trade Desk, enabling real-time bidding for native inventory. In November, ChoiceStream, a DSP, launched a new “native programmatic” platform, cs.Native. Also that month, Xaxis partnered with Disqus, enabling clients to programmatically buy Sponsored Comment ad units on sites using the Disqus comment-hosting service. Among other capabilities, the platform scans words and expressions used in articles and in comments, letting brands target marketing messages to trending topics.